Stay 3 nights and get 15% OFF - USE DISCOUNT CODE "EASTER15"Stay 4 nights or more and get 20% OFF - USE DISCOUNT CODE "EASTER20"
So what’s your excuse? Get the friends and family together and get back-to-nature in 37 iconic locations across NSW. *Terms & Conditions apply – offer excludes Easter Long Weekend. Dogs are permitted at Reflections Holiday Parks Shaws Bay year round (sites and selected cabins). Dogs permitted on sites and selected cabins excluding the Christmas/New Year Period. Unfortunately, you are not permitted to bring your dog to stay at Burrinjuck Waters. To view the full list of Reflections‘ dog-friendly parks please click here. Unfortunately, you are not permitted to bring your dog to stay at Clarkes Beach. To view the full list of Reflections‘ dog-friendly parks please click here. Dogs are permitted at Reflections Holiday Parks Coffs Harbour all year (sites and selected cabins). Dogs are permitted at Reflections Holiday Parks Copeton Waters year round (sites and selected cabins). Dogs are permitted at Reflections Holiday Parks Corindi Beach all year on sites and selected cabins. Please call the park directly to book. Dogs are permitted at Reflections Holiday Parks Cudgegong River all year (sites only). Unfortunately, you are not permitted to bring your dog to stay at Hungry Head. To view the full list of Reflections‘ dog-friendly parks please click here. Dogs are permitted at Reflections Holiday Parks Jimmys Beach during Off Peak and Shoulder Seasons (sites only). 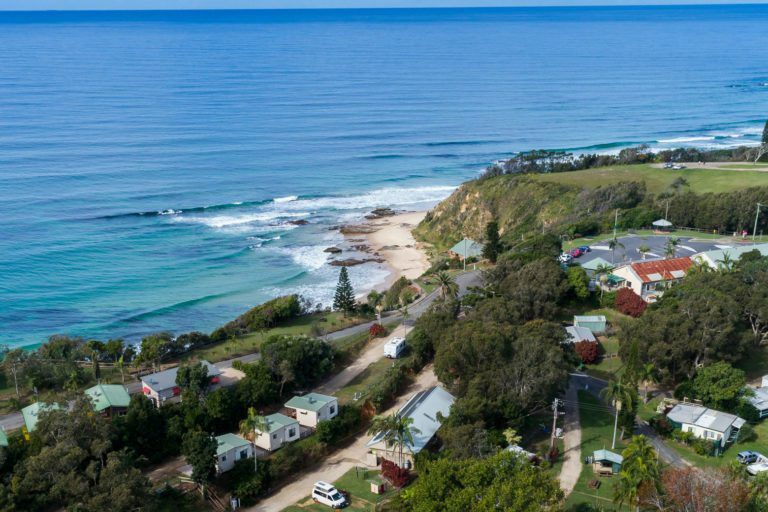 Dogs are permitted at Reflections Holiday Parks Lennox Head year round – excluding 13-21 April 2019 & 21 Dec 2019-12 January 2020 (selected sites as well as selected economy & deluxe cabins). Please call the park directly when booking. Dogs are permitted at Reflections Holiday Parks Mookerawa Waters during Off Peak Season only (sites only). Dogs are permitted at Reflections Holiday Parks North Haven during Off Peak and Shoulder Seasons (Standard Cabin & Sites only). Dogs are permitted at Reflections Holiday Parks Pambula are permitted all year round. Dogs on leads are allowed in all areas of the park except inside amenities and the camp kitchen. Dog waste stations are available on site and in the adjoining reserve. Dogs are permitted at Reflections Holiday Parks Red Rock during Off Peak Season only (powered and unpowered section of the park). Stay 3 nights and get 15% off or Stay 4 nights or more and receive 20% off across all Reflections Holiday Parks locations. Guest must use discount codes EASTER15 or EASTER20 to capture discount. Booking period is from Friday 29th March and ends 28th April 2019 for stays between the 6th to the 30th April 2019. Promotion is subject to availability & not to be used in conjunction with any other offer. Promotion excludes Easter Long Weekend Period (19th to 22nd April 2019). Promotion available across all tourist accommodation. Promotion applies to ALL bookings. Any current bookings are exempt from this offer – park managers may apply 10% discount at their discretion. Offer based on standard rate – advertised amount of people for each accommodation type. No exclusions on week night or weekends to capture discounts. The Promoter (including its respective officers, employees and agents) excludes all liability (including negligence), for any personal injury; or any loss or damage (including loss of opportunity); whether direct, indirect, special or consequential, arising in any way out of the promotion except for any liability that cannot by law be excluded. The Promoter reserves the right to cancel or amend the promotion and terms & conditions at any time. Any changes to the promotion will be communicated by the promoter. Deposit & cancellation policies apply – see here for more details. The Promoter will not disclose entrant’s personal information to any entity outside of Australia. The Promoter is Reflections Holiday Parks (ABN 26 087 692 248) of 17 Gipps Street, Carrington NSW 2294. Telephone: 02 4914 5500.